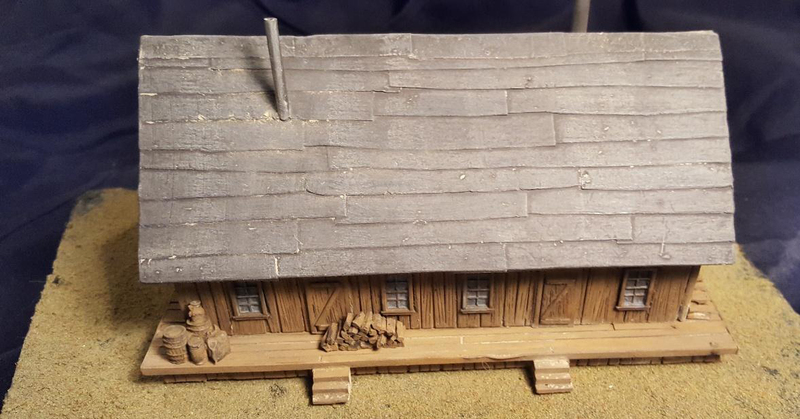 Here is our new HO scale lumber camp cook house. 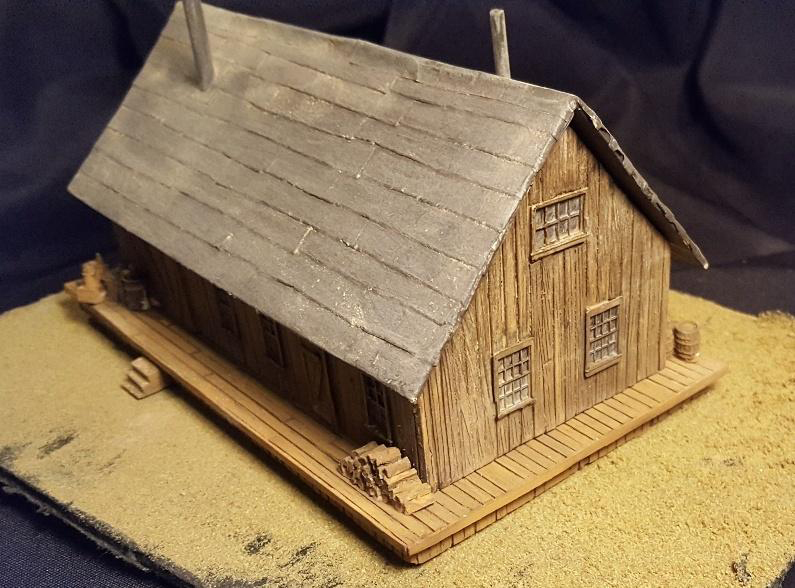 This kit goes along with our lumber camp lumberjacks cabins on skids. This is a hollow kit that requires some minor assembly. This was the heart of a lumber camp. Simple: no food, no work. As you can see it comes with its own base and has a removable roof. You also receive several castings of woodpiles and junk piles. 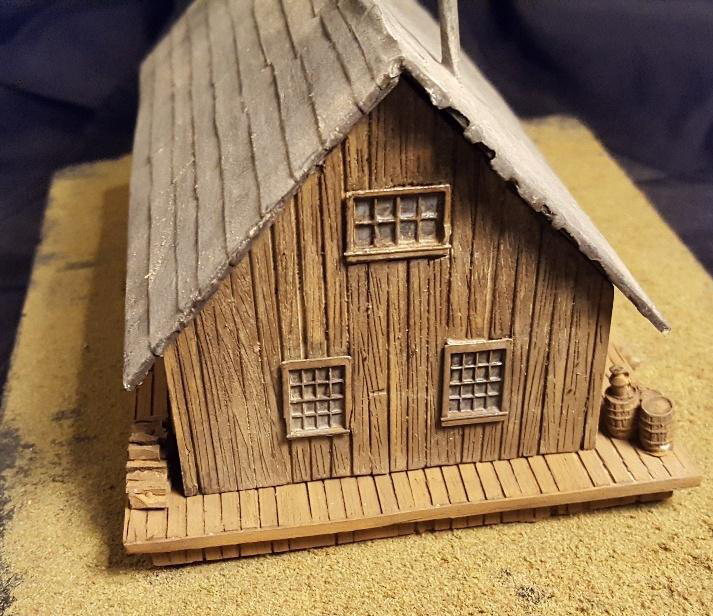 Measures 6" long by 3" wide and 3 1/4" tall. All resin casting and comes unpainted.